Veterans, organizations to Benefit from baseball game (Bridgeport News) Connecticut military veterans and several organizations supporting them will be honored at the 4th annual Homerun for Heroes Bridgeport Bluefish Baseball Game on Saturday, Aug. 30. Army’s top enlisted man speaks about cutting troops (The Town Talk) Sergeant Major of the Army Raymond Chandler has less than six months left on the job, but he’s still pushing hard on several key soldier issues. Job fair slated at Turner Center in Fontana (Daily Bulletin) The theme of the job fair is “thank a hero, hire a veteran,” but nonveterans are welcome, too. USAA Taps Analytics to Speed Military Transitions (Baseline) Transitioning from the military to civilian life is one of the biggest challenges facing veterans. They need to find a place to live, land a job and deal with other issues involved in this major life change. Job-hunting veterans get a boost at UMass Lowell (The Boston Globe) Jeremy Alaniz was an economics student at Texas A&M University when he watched United Airlines Flight 175 crash into the south tower of the World Trade Center. Center focuses on supporting veterans (Daily News) Veterans Resource Centers of America provides community-based support services for veterans and their families, with a particular focus on homeless and at-risk veterans. Veterans Affairs plans town hall in Lincoln (SFGate) Veterans will have a chance to give feedback the Department of Veterans Affairs services at a town hall in Lincoln on Tuesday. Women Veterans’ Symposium aims to connect and create awareness (KTSM) The Women Veterans’ Symposium is held with the hopes of connecting women veterans with each other and making them aware of the resources they have access to. It is hosted by the Military Veteran Peer Network. California Army veteran trying to prove he is not actually dead (Daily News) An Iraq veteran has been on a 2-year campaign to prove to the U.S. Department of Veterans Affairs that he’s not dead. Valor Grove apartment complex on Tuscaloosa Veterans Affairs Medical Center grounds targets homeless veterans (Tuscaloosa News) An $11 million apartment complex at the Tuscaloosa Veterans Affairs Medical Center has received 50 vouchers from the U.S. Department of Housing and Urban Development, allowing the project to specialize in housing for the homeless. Veterans Affairs selects Columbus as regional site for Veterans Day (The Columbus Bulletin) The Veterans Day National Committee of the U.S. Department of Veterans Affairs has selected the Town of Columbus as a 2014 Veterans Day Regional Site. The VA Provides Full Coverage for Veterans With ALS (VA) ALS has been getting a lot of attention from the Ice Bucket Challenge, but many veterans do not know the military covers them if they have the disease. VETERANS’ CORNER: VA program adds primary care (Mineral Wells Index) The Department of Veterans Affairs announces that primary care has been added to the services available to veterans through VA’s Patient-Centered Community Care (PC3) contracts, a key and evolving part of the non-VA medical care program. Federal law guarantees in-state tuition for student veterans (Red and Black) A new federal law guarantees veterans tuition benefits when they enroll in a public university in the United States. Vashon man seeks his gay partner’s federal VA benefits (Seattle Times) The ceremony was meticulously planned, befitting a wedding where one of the grooms is a self-professed Virgo with obsessive-compulsive leanings. If you would like to receive Transitionnews daily via email, just enter your preferred email address in the “Email Subscription” box on the sidebar. Fishing tournament in Bayonne to help wounded warriors (NJ.com) The annual fluke fishing tournament tomorrow at Robbin’s Reef Yacht Club, 21 Pavonia Court in Bayonne will benefit The Wounded Warrior Project, a nonprofit helping injured vets and their families. Report: vets’ preference for federal jobs too complicated, sometimes controversial (The Washington Post) Uncle Sam’s long-standing policy of giving veterans a hiring preference for government jobs enjoys strong support. Veteran Job Fair Helps Those Who Help Us (KGWN) From fighting for our country, to fighting for a job. Veterans gathered at the Storey Gym on Thursday to look for jobs. Chamber, MOAA to Sponsor Veterans Job Event (The Pilot) The Sandhills Chapter of the Military Officers Association of America (MOAA) and the Moore County Chamber of Commerce will join next month to sponosr the Moore County Veteran Jobs Initiative. Veterans benefit expo held at Logistics Health Incorporated (News8000) The Wisconsin Department of Veteran’s Affairs organized an expo for veterans at LHI Thursday. Veterans Affairs Opens New Clinic In Sorrento Valley (KPBS) Veterans Affairs officials say the new Sorrento Valley clinic will have the capacity to offer medical and mental healthcare to some 17,000 patients a year. Central Ala VA director, chief of staff placed on leave (Montgomery Advertiser) The director and the chief of staff at the Central Alabama Veteran’s Health Care System have been placed on administrative leave while the Montgomery and Tuskegee medical centers are assessed. McCain: Why is Phoenix VA boss still employed? (AZ Central) More than two months after Sharon Helman was suspended as director of Phoenix’s VA Health Care System, she remains on the payroll collecting regular checks and benefits despite passage of a new federal statute targeting accountability in the Department of Veterans Affairs. VA facilities to hold town hall meetings (Philly.com) Philadelphia’s Veterans Affairs benefits office will host two town hall events Wednesday for local veterans to voice feedback about the quality of their service. AAFES makes ‘business case’ for allowing veterans to shop online (Stars and Stripes) Allowing 18.8 million honorably-discharged veterans to shop online through military exchange services, which also operate brick-and-mortar department stores and concessions on base, could boost store profits enough to pump more than $100 million back into base quality-of-life programs. Hospital system is having trouble reaching veterans (AZ Central) The outsourcing of Veterans Affairs patients to metro Phoenix health providers is in full swing, but one major hospital system has encountered a challenge reaching veterans. Veterans Find ‘Family,’ Healing In Festival And Electronic Music Culture (Huffington Post) Two years and 34 surgeries after Kirstie Ennis was injured in a helicopter crash in Afghanistan, the retired Marine Corps veteran is still fighting to keep her leg. And while the road to recovery has been far from easy, one hobby has made a big difference in keeping her spirits up: listening to and creating electronic music. Army Officer Recycles Military Surplus and Creates Fashionable Bags (ABC News) Serving in the military while also being the CEO of a fashion company can be an intimidating but also a rewarding experience. It’s also a perfect match for U.S. Army 1st Lt. Emily Núñez, 24, who saw a need and filled it, helping her fellow veterans along the way. Voluntary separations accelerate for officers (Marine Corps Times) Recent revisions to the Voluntary Separation Pay program for officers will push those declining orders and then requesting VSP out of the service more quickly. Veterans employment assistance a growing need (Daily News) David Jones worked jobs as a busboy and in fast food when he was a teenager. Almost 8,000 Navy chiefs face ax; sailors could advance (USA Today) Almost 8,000 senior enlisted personnel must go before a continuation board later this year to determine whether they can continue to serve or must retire. Southington helps promote employment opportunities for veterans (Record Journal) Veterans are offered an opportunity to sign up for job opportunities in the area through the state American Legion. Iraq vets on Hill call for stronger response to ISIS (The Hill) Reps. Adam Kinzinger (R-Ill.) and Tulsi Gabbard (D-Hawaii), both Iraq War veterans, on Sunday called for a robust U.S. response to a terrorist advance in Iraq by the Islamic State in Iraq and Syria (ISIS). Veterans look to farming to grow and heal (USA Today) Mike Simester had always dreamed of a being a career soldier. Vets seeking care died in VA limbo (Atlanta Journal-Constitution) In 2010, the Veterans Administration rolled out a new online application that promised the nation’s veterans a quick, easy way to access one of the chief benefits of military service: enrollment in the VA’s vast network of hospitals and health care facilities. Congress seeks more information on VA deaths (The Tampa Tribune) Still dissatisfied with the Department of Veterans Affairs response to questions about how many veterans suffered death and injury from delays in medical treatment and diagnoses at VA medical facilities around the country, the House Veterans Affairs Committee has widened the scope of its inquiry. Duty Calls: Volunteers to aid at-risk veterans (Times Union) More than several hundred at-risk veterans and their families will receive help Saturday during the Eastern New York State Homeless Veterans Coalition Stand-Down. For-profit colleges gouging veterans, U.S. Senate report finds (Tampa Tribune) On the heels of a student veterans group’s warning, a U.S. Senate report reveals the extent to which for-profit universities benefit from the federal G.I. Bill program. Local colleges reach out to veterans (Daytona Beach News Journal) There is a lounge at Embry-Riddle Aeronautical University where military veterans, young and old, sit back on couches and prop up their feet. Veterans’ Next Battle: Legal Rights (Diverse) In a year when the Department of Veterans Affairs has repeatedly come under fire for problems ranging from deadly delays in medical appointments to its hefty backlog of benefit claims, the need for legal assistance for veterans has often taken a lower priority. Law seeks to expand in-state tuition for all (Military Times) A bill signed into law by President Obama on Aug. 7, dedicated primarily to overhauling veterans’ health care, also includes a major victory for education advocates. 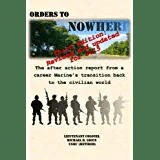 The Key to Post-Military Career Success: Prepare Now (Business News Daily) Serving in the Armed Forces is one of the most rewarding and honorable paths an American citizen can take. Veterans’ job fair planned for Aug. 18 (The Beacon) Members of Delaware’s congressional delegation will hold a job fair for veterans from 10 a.m. to 2 p.m. Aug. 18, at the Carlisle Fire Company, Milford. New Transition Center Helps MacDill Veterans (Military.com) Every year about 1,200 to 1,500 service members from MacDill Air Force Base leave the service. Vets everywhere can log on to virtual job fair (Military Times) Hiring Our Heroes wants to take its veterans job fairs beyond major cities to small towns across the country. Navy personnel chief: No more enlisted retention boards during his tenure (Navy Times) The Navy’s top personnel officer said the two enlisted retention boards, which booted 2,946 sailors, fixed overmanning problems, but he also admitted it sowed mistrust in the ranks that persists. Booted sailors set sights on Supreme Court (Navy Times) A group of 300 sailors separated by the 2011 enlisted retention boards is taking its case to the nation’s highest court. Feds award $600,000 to Catholic Charities in Syracuse to help homeless veterans (Syracuse.com) Catholic Charities of Onondaga County will receive $600,878 from the U.S. Department of Veterans Affairs to help homeless and at-risk veterans and their families find stable housing, U.S. Rep. Dan Maffei said today. Program for homeless vets gets $300 million infusion (USA Today) A popular VA homeless program that community groups say helps them keep tens of thousands of veterans off the street, including thousands who served in Iraq and Afghanistan, has received a fresh infusion of $300 million. Iraq Vets in Congress Support Air Strikes, But Are Wary of Another War (Defense One) U.S. air strikes against the Islamic State of Iraq and the Levant near the Kurdish capital of Irbil on Friday mark the first combat operations in the country since the Iraq war ended in 2011. VA will open scheduling books to outside audit (Military Times) Veterans Affairs Department officials will open their scheduling books to outside reviewers in an effort to get an independent assessment of how to fix medical center wait time problems, VA Secretary Bob McDonald said Friday. Free assistance available for veterans government benefits (The Evening Sun) The Pennsylvania Veterans of Foreign Wars invites veterans of all ages and from all service eras to utilize its Service Officer Network to receive free information and assistance for government benefits including VA healthcare, compensation, pension, education and dependent benefits. Veterans benefits fair in Tomah Aug. 13 (The Tomah Journal) The Tomah Department of Veterans Affairs Medical Center will host a Veterans Benefits Fair Wednesday, Aug. 13 from 11 a.m. to 3 p.m., at 500 E. Veterans St. in the Tomah. Despite progress in backlog, thousands of Florida’s veterans still wait for benefits (Miami Herald) While his mortgage, electric bill and child support payments fell months behind, James Pendleton, a 57-year-old U.S. Army veteran from North Lauderdale, waited years for disability compensation benefits. Veterans conquer disabilities to reach new heights at Grand Teton National Park (The Denver Channel) Veterans often struggle to reintegrate into civilian life. Finding the special bonds, friendships and camaraderie they once experienced in the military can be difficult. Coast Guard’s early retirement could expand to enlisted ranks (Army Times) Officers nearing 15 years in service next year have an opportunity to retire sooner than usual thanks to the latest early retirement program. 550 majors to be separated in reduction in force (Army Times) Secretary of the Army John McHugh has approved the results of reduction-in-force boards that will require 550 Regular Army majors to separate or retire from active duty by next spring. 30-year strategy calls for new approach to Air Force careers (Air Force Times) The Air Force should create a way for airmen to leave the service, gather real-world experience and then bring that back into the Air Force without being punished for it, according to the service’s 30-year plan unveiled July 30. Upcoming options for employment seekers (Albuquerque Journal) Several job fairs including a business boot camp are upcoming in the Albuquerque metro in the next two months. Job fair open to veterans, family members (Statesville Record & Landmark) A local job fair planned for Aug. 7 is part of a national program – Operation: GoodJobs – that helps veterans and their immediate family members find meaningful work and gain financial stability. VA to participate in Veteran Expo (Iron Mountain Daily News) The Oscar G. Johnson VA Medical Center will be participating in the upcoming Veteran Expo Aug. 8-9, 2014, in the Superior Dome in Marquette. Army Preparing for Steep Drawdown, Losing Patience With Congress (National Defense) The Army is drawing up plans for how it would operate with nearly 100,000 fewer troops. The analysis will identify specific missions and duties the Army would no longer be able to do at that smaller size. Two top administrators at New Orleans VA retiring and a 3rd is changing jobs (NOLA.com) Two top staffers at the Southeast Louisiana Veterans Health Care System in New Orleans are retiring and a third is moving on to a new position. Phoenix VA Whistleblower Punished (NewsMax) A whistleblower at the Phoenix Veterans Affair Hospital has been punished by being placed in a lower-ranking job, The Washington Post reported. VA numbers on treatment delays were misleading (Tampa Bay Times) A Department of Veterans Affairs “fact sheet” told Congress and the public in April that the agency reviewed 250 million medical consultations, dating back to 1999, and found 76 veterans seriously harmed by treatment delays for gastrointestinal cancers. VA Committee Chair: What Went Wrong at VA, and What Must Be Done To Fix It (NBC) By now, nearly everyone knows the Department of Veterans Affairs is in dire need of reform. Oversight by the House Committee on Veterans’ Affairs and whistleblower revelations have exposed widespread corruption, systemic delays in access to medical care and failures in accountability across the board at our nation’s second largest federal agency. Letter: Buffalo VA hospital is doing a terrific job (Buffalo News) Anyone who has followed the news recently could get the impression that Veterans Affairs is an evil organization not taking care of veterans. Married Gay Vets’ Next Battle Is Equal VA Benefits (Military.com) U.S. Air Force Capt. CJ Wilkinson was about to settle into his dream life. Mold forces relocation of Haley hospital patients (Tampa Bay Online) About a half dozen patients in the James A. Haley Veterans’ Hospital Spinal Cord Injury Center had to be moved and a hallway sealed off after mold was discovered in an area near the patient care section in May, hospital officials say. Tricare appeals lengthy but not unfair, report finds (Military Times) Appealing a Tricare decision to the highest level within the Defense Health Agency may take nearly a year but that doesn’t necessarily mean those decisions go against beneficiaries in the end, according to a report recently provided to Congress. Effort advances to add names of 74 sailors to Vietnam Memorial (Navy Times) The crew of the destroyer Frank E. Evans is fighting once again, 45 years after their ship sank in the South China Sea after a terrifying collision. HIRING: Veterans Job Fair at VA Loma Linda Healthcare System (Press Enterprise) The VA Loma Linda Healthcare System will host a “Veterans Job Fair” event at its flagship facility, the Jerry L. Pettis Memorial Veterans Medical Center from 9 a.m. to 1 p.m. on Fri. Aug. 8. Job fair Thursday held at American Legion (Marrietta Daily Journal) The American Legion Post No. 294, at 3282 Florence Road in Powder Springs, and Unemployment Eliminators LLC will have a job fair from 9 a.m. to 1 p.m. Thursday. YDC unit hosting job fair (Union Recorder) One building, to be known as the Bill Ireland Intensive Treatment Unit, will begin operations at the old Department of Juvenile Justice (DJJ) campus on North Glynn Street by next January. Army officials on ‘pink slip’ controversy: We don’t have a choice (The Washington Post) For weeks, the Army has been taking a verbal beating for sending “pink slips” to officers while they were deployed. DOT Expands Program to Help Veterans Get Jobs (Military.com) The U.S. Department of Transportation’s Federal Motor Carrier Safety Administration (FMCSA) announced today that its waiver program that helps experienced veterans and active duty personnel transition into civilian jobs as commercial truck and bus drivers has been expanded to all 50 states and the District of Columbia. House-Senate Negotiators Approve $17B VA Bill (ABC) House and Senate negotiators have approved a $17 billion compromise bill to overhaul the Department of Veterans Affairs and reform a program scandalized by veterans’ long waits for health care and VA workers falsifying records to cover up delays. It’s a Miracle! Congress Compromises on VA Reform Bill (The Daily Beast) Sure, the whole deal almost fell apart and took weeks longer than expected, but Bernie Sanders and Jeff Miller have come up with a $17 billion bill—and it’s expected to pass this week. Survey: many combat vets worried about exposure to ‘burn pits’ (Christian Science Monitor) One of the most surprising results to come out of a survey released this week by the Iraq and Afghanistan Veterans of America (IAVA) was in response to a question buried in the “general health” section. Heroes Golf Course, on Veterans Affairs campus, is their cause (Los Angeles Times) A miraculous thing happened to Heroes Golf Course in January. New veteran benefits in Floyd County (KIMT.com) There are new efforts in place to help make education accessible and affordable for veterans in Floyd County. The rising cost of veterans’ healthcare and benefits (The Los Angeles Times) The House and Senate are expected to vote this week to approve a $17-billion plan to reduce the long lines for care in the Department of Veterans Affairs health system. The VA Aid & Attendance Benefit – Don’t take No for an Answer (Examiner) Veterans are a valuable asset to our nation; they gave of their time, talents and physical abilities to defend our nation. And they deserve the best rewards for their service. A simple summary of the new VA bill (The Washington Post) Congress is expected to vote this week on a bill to revamp the Department of Veterans Affairs in the wake of a scandal over treatment delays and falsification of scheduling records at VA hospitals across the country. Top TA & GI Bill schools: Most popular colleges cater to troops by taking classes to them (Military Times) Schools known for their flexible learning options are by far the most popular among both active-duty service members using tuition assistance and veterans and their dependents using the Post-9/11 GI Bill, government data show. AF takes aim at obesity in dependents, retirees (Air Force Times) The Air Force is taking aim at obesity among dependents and retirees through two pilot programs that could eventually go servicewide. Housing Buoyed by 20-Year High for Vet’s Loans: Mortgages (Bloomberg) During his third deployment in Afghanistan, Air Force Staff Sgt. Claude Hunter was so eager to return to the U.S. and buy a house that he signed a contract for a property that his agent showed him over Skype. Medal of Honor recipient SFC Leroy Petry retires today (Army Times) One soldier’s career: Ranger with eight deployments, lost his hand to a grenade while saving his buddies, pinned with the Medal of Honor, met presidents and celebrities, smiling in dress uniform as grand master at parades and speaker at university commencements. Army: Of 1,100 captains pink-slipped, 48 were in Afghanistan (Stars and Stripes) Of the more than 1,100 Army captains notified last month their military careers would soon end, 87 were deployed worldwide and 48 were serving in Afghanistan at the time, Army officials said Wednesday. Steve Scalise to host Slidell jobs fair for veterans/military (The Times-Picayune) Rep. Steve Scalise, R-Jefferson, will host a jobs fair for veterans and active military at Salmen High School in Slidell Saturday July 26 from 10 a.m. to 2 p.m.
Upcoming Maritime Recruitment Fair at CMTI (Marinelink.com) Founded in 1998, Norfolk Tug is part of the American Waterways Operators and operates a fleet of 10 vessels. Tuscarawas County Job Fair set for Aug. 28 (Times-Reporter) The Tuscarawas County Job Fair will be held from 10 a.m. to 1 p.m. Aug. 28 at the Monroe Centre, 1260 Monroe St., New Philadelphia. Senate committee approves VA nominee (The Hill) The Senate Veterans’ Affairs Committee on Wednesday unanimously approved President Obama’s pick to lead the troubled Veterans Affairs Department, sending his nomination to the full chamber. Female veterans find a place to heal together (CBS News) These women came to an Alabama horse farm to find healing in a feeling of sisterhood. Dole, Vets Groups Renew Push for Disability Treaty (ABC News) Former Sen. Bob Dole and proponents of a treaty promoting equal rights for the disabled around the world stepped up pressure for full Senate ratification. Navy Vet Shows Children the Value of Work and Education Through Farming (ABC News) Surrounded by crime, inequality and a lack of opportunity is a quarter-acre farm in East Oakland, California. U.S. Navy veteran and Oakland native Kelly Carlisle is trying to change all that by inspiring a young group of local children through farming. Highland Heights Community Center hosts Military Benefits Fair; many vets unaware of available benefits (Cleveland.com) Many military veterans are unaware of the benefits to which they are entitled for having served their country and a state representative has made it her business to make sure those veterans become informed on the subject. Sen. Sanders seeks new VA funding compromise (Military Times) A push by Veterans Affairs Department officials for billions in new funding to hire more doctors may upend congressional efforts for a wide-reaching VA reform package that appeared all but finished just a few weeks ago. Vet forgotten, locked inside Orange City VA clinic (ClickOrlando) A Marine veteran from Deltona says he’s very disappointed in the Veterans Administration after he was locked inside the community clinic in Orange City on Monday. Survey asks Central New York veterans about their VA care and benefits (Syracuse.com) Central New York veterans will have a chance to share feedback about the quality of their Veterans Affairs healthcare and benefits in a new online survey from U.S. Rep. Dan Maffei. Serving Smart: Nitty-Gritty of VA Education Benefits (DOD Live) We came, we blogged, we educated. Julius Caesar would have been so proud!